Why is analytical testing important in the cannabis industry? Just as government agencies such as the FDA, USDA, and EPA require testing of food, medicine, and lotions we put in or on our body, cannabis should have those same requirements, as it is consumed. This is especially true for medical cannabis patients who may have an immunocompromised system. How can cannabis become contaminated or unsuitable for its intended use? There are many contaminates cannabis consumers don’t want in their product; these include pesticides, residual solvents, heavy metals, mycotoxins and microbial pathogens. Contamination of cannabis can be by intentional or unintentional means. Examples of unintentional contamination could be from toxic heavy metals like arsenic, cadmium, lead, and mercury from the soil or water used to grow the plants. Another example of unintentional contamination is with pesticides, which can be harmful if they enter the body. “Pesticides” is the collective term used to describe pesticides, herbicides, insecticides, and fungicides. There are currently more than 1000 pesticides in the world today. So, while pesticides poison pests and increase crop yield, they can also poison humans as well. For example, the fungicide myclobutanil is commonly used on commodities such as almonds, asparagus, and grapes. An overspray of this on a commodity in a field next to a cannabis farm, could spread to the cannabis plants itself. If the fungicide is exposed to a flame (i.e. when the cannabis is smoked), it can produce hydrogen cyanide gas – a gas poisonous to humans. Alternatively, it is possible that the pesticide may be sprayed on the cannabis intentionally, to increase crop yield. In a recent survey of cannabis flowers analysed from a US state, Shimadzu found 15% of the dried flowers had residue from the myclobutanil. The number increased to 38% in concentrates since not only are the cannabinoids concentrated, but so are the pesticides. Further, in the same study, there was some type of pesticide residue on 52% and 82% of dried flower and concentrates. What are the different analyses involved with cannabis testing? What components of cannabis are involved in these? There are +500 compounds which should be tested during the analysis of cannabis. The main components include cannabinoids, terpenes, amino acids, proteins, glycoproteins, enzymes, sugars, hydrocarbons, and phenols. The cannabinoids and terpenes are of special interest because of the synergistic effect they have, called the “Entourage Effect”, which refers to the combined effect of the different compounds present in that particular type of cannabis. The profiles of the cannabinoids are important to patients as each one has different medicinal properties, so they will need to know which is best suited to their medical condition. The terpenes are reported to have their own health benefits and thus the profile of those are of special interest as well. There are more than 120 terpenes reported to be in the cannabis plant. Terpenes can be found not only in cannabis plants, but also other botanical sources. For instance, in a pine forest one can smell pinene. Relative to cannabis, pinene acts as a bronchodilator opening the lungs for better cannabinoid absorption. Another example of a terpene is Linalool, found in lavender. It has a floral smell and acts as a sedative, and is reported to have anti-cancer properties. Limonene, in citrus fruits, has been reported to have anti-bacterial, anti-cancer, anti-depression, and anti-fungal properties. Solvents such as butane and propane are used to extract the cannabinoids from the plant. The leftover toxic chemicals after the extraction are referred to as residual solvents. The cleanest way to extract the cannabinoids is with supercritical fluid extraction (SFE), which generally uses carbon dioxide and has the status as generally recognized as safe (GRAS) by FDA for use in foods. It is non-toxic and not flammable, unlike solvents. Heavy metals contamination can come from soil, water or air. The “Big Four” toxic heavy metals are arsenic, cadmium, lead, and mercury. States such as Maryland have added barium, chromium, selenium, and silver to the “Big Four” list for cannabis testing while New York has a different set to the existing list such as antimony, chromium, copper, nickel and zinc. Mycotoxin traces its roots to the word “myco”, which is Greek for fungus, and “toxin” for poison. Mycotoxins are secondary metabolites from the fungus and can cause disease and death to humans. Aflatoxins are a type of mycotoxins produced by certain molds, specifically Aspergillus species of fungi, and can cause liver damage and cancer. Foods have allowable very low levels of mycotoxins, which also should be true for cannabis consumed by patients. The final type of cannabis test includes that for microbial pathogens, such as E. coli, salmonella, and listeria. Fifteen pathogens in food cause 95% of the hospitalization with salmonella being the most prevalent with 19,000 hospitalizations costing $3.7 billion annually, according to the USDA. By using analytical techniques to test cannabis for microbial pathogens, we are able to avoid a situation like this in the cannabis industry. Please outline the techniques involved in cannabis testing. Are the same analytical techniques used for each type of test? High-performance liquid chromatography (HPLC) with a UV (or PDA) detector is used to test the cannabinoids with Shimadzu’s Cannabis Analyzer for Potency. 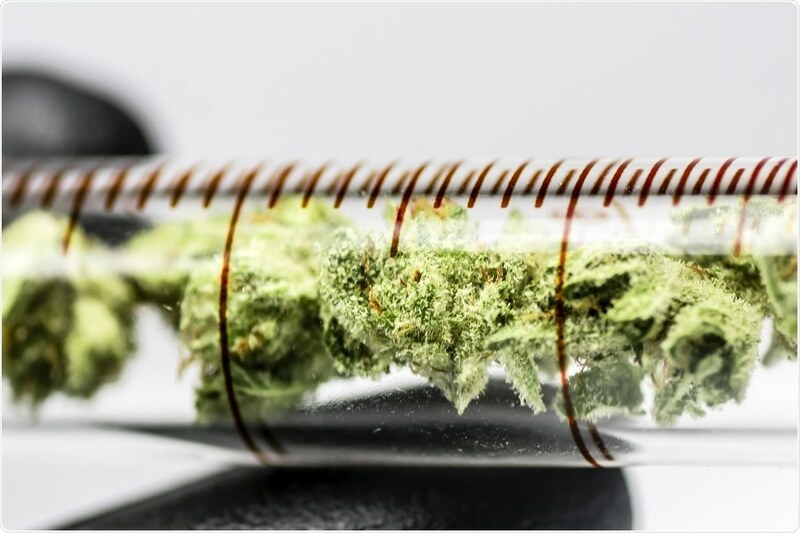 If the analyst is thinking about increasing the number of cannabinoids tested, then a triple quadrupole liquid chromatography mass spectrometer (LC-MS/MS) or high-resolution mass spectrometer is required. In contrast, terpenes are typically measured by a headspace GC-FID or headspace GCMS. The headspace is an accessory for sampling the cannabis by heating the sample in a vial and collecting the volatiles in the gas phase for introduction to the gas chromatograph (GC). The GC-FID is a gas chromatograph with a flame ionization detector, while GCMS is a gas chromatography mass spectrometer. The GC-FID measures the retention time the terpene enters/exits the detector after being separated from other terpenes and volatiles by the chromatography column. So, if two compounds have the same retention time, they would be indistinguishable by the headspace GC-FID. The preferred method is GCMS as a library search can be used to give a fingerprint of the specific terpene. Pesticides are typically analysed by a triple quadrupole liquid chromatography mass spectrometer (LC-MS/MS). Some compounds are difficult to ionize by LC-MS/MS. As the pesticide list varies between states/countries, it is subject to change yet still and therefore the addition of a triple quadrupole gas chromatography mass spectrometer (GC-MS/MS) may be required for complete pesticide analysis. Heavy metals are usually analysed by cannabis labs using an inductively couple plasma mass spectrometer (ICP-MS). The ICP is an “electrical flame” at 10,000 degrees, as hot as the sun, and ionizes the metals to be detected by the mass spectrometer. These instruments can analyse more than 70 elements simultaneously within a minute so if additional heavy metals to the “Big Four” list are required for testing, then there are no problems. A limited number of mycotoxins in foods can be analysed by HPLC with a combination of UV and fluorescence detectors. However, because of the complexity of the cannabis plant, with more than 500 compounds, an LC-MS/MS is required. This can be the same LC-MS/MS used for pesticide analysis with sample preparation and a different chromatography column for separating the mycotoxins/aflatoxins. Microbial pathogens can be found by a variety of methods, each with its advantages and disadvantages. Enzyme-linked immunosorbent assay (ELISA) technology has a low upfront cost of $10-$20 per sample for rapid foodborne pathogen detection based on antigen/antibody-binding but may be limited to a single microorganism and can have false positives and negatives. Quantitative polymerase chain reaction (qPCR), based on DNA may be in the $20,000-$40,000 range and can expand the number of microorganisms tested. Matrix Assisted Laser Desorption Ionization Time of Flight Mass Spectrometry (MALDI-TOF-MS) is the top-of-the-line technique routinely used in clinical settings, but just starting to make it to the food industry. The upfront cost of the instrument is expensive at more than $300,000, but the advantages are numerous with routine analysis of greater than 1,300 microorganisms in less than two minutes for pennies a sample, without false positives and negatives based on protein analysis. Pittcon 2018 will demonstrate all the latest instruments suitable for the above techniques, and will have information on the technologies in the cannabis testing industry. Is it compulsory for all cannabis to go through these tests? As cannabis is illegal on a federal level in the US, there are no federal regulations for testing. It is up to each state to determine which test will be implemented and enforced, and these vary between states. Take pesticide testing, for example. California tests for 66 pesticides, Oregon tests for 59, Nevada tests for 24, but some states may not have a pesticide program in place at all yet. Keeping track of each state’s ever-changing cannabis testing program can be very time consuming especially as links change and become inactive. It has been announced that jCanna will be presenting a Cannabis Symposia at Pittcon 2018. What are the key points that you will be sharing here? My seminar titled “A Survey of Analytical Instruments Used in the Cannabis Testing Industry”, is part of the half-day cannabis session taking place on the morning of Monday, February 26, 2018. As a youngster my father told me tools are 90% of the job. The same is applied to cannabis testing, and this will be my story to tell at Pittcon 2018. I will discuss the quality control and labelling of cannabis, and how this varies from state to state and country to country - whether it is protecting brand name, providing customers with more information, or educational research, a number of analytical tools are utilized. As I described before, the tools or analytical instruments depend on the testing to be completed, identified, and quantified. Therefore, the seminar will describe which analytical instruments are required for testing each of these parameters. Please outline the recent legal and ethical developments in medical cannabis research. Cannabis focus is not just quality control (QC) testing anymore, but also R&D and education. For example, Northern Michigan University offers a degree in Medicinal Plant Chemistry with an emphasis on cannabis, herbal extracts, and natural product industries. Shimadzu is the only manufacturer of analytical instruments for testing cannabis products that also has a medical division. One of the products includes functional Near Infrared Spectroscopy (fNIRS) where patients with Post-Traumatic Stress Disorder (PTSD), concussions, or chronic traumatic encephalopathy (CTE) brain images could be monitored to understand the effects of cannabinoids on the patient. How do you think analytical testing of cannabis will develop to keep up with the “legalization era”? Read more on "Cannabis testing in the legalization era"
I believe that it is time for the federal government to step in and set up federal guidelines for cannabis testing to prevent citizens from harm due to intentional or unintentional producers, processors, or dispensaries. After all, more than half the states in the USA now have a medical marijuana program. Shimadzu is constantly updating its cannabis website www.GrowYourLab.com with application notes, white papers, and videos related to the analysis of cannabis. These include information on testing for cannabinoids, terpenes, pesticides, residual solvent, heavy metals, mycotoxins/aflatoxins, moisture control, and microorganism. 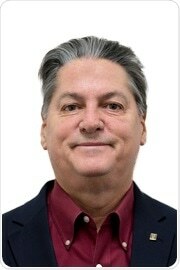 Dr. Bob Clifford received his Bachelor’s degree from Glassboro State College, now Rowan University in New Jersey, his Master’s degree from Villanova in Pennsylvania, and his Ph.D. from George Washington University in Washington, DC. He has published and presented over 125 papers in the fields of food, pharmaceutical, environmental, energy, geology, material science, photonics, and cannabis. However, his true love is in food. His first chemistry job was as a summer intern at Campbell Soup Company where he was hired as a full-time employee. After he went back to graduate school he took another job as intern at the FDA where he was also hired as a full-time employee. After graduating with his Ph.D., he left the FDA for Shimadzu where he has worked for the last 26 years. Bob was recently promoted from Marketing Manager of Food & Consumer Products including cannabis to General Manager of Marketing.